+1; Look at the top two cards of your library. Put one of them into your hand and the other on the bottom of your library. −1; Untap up to four target permanents. 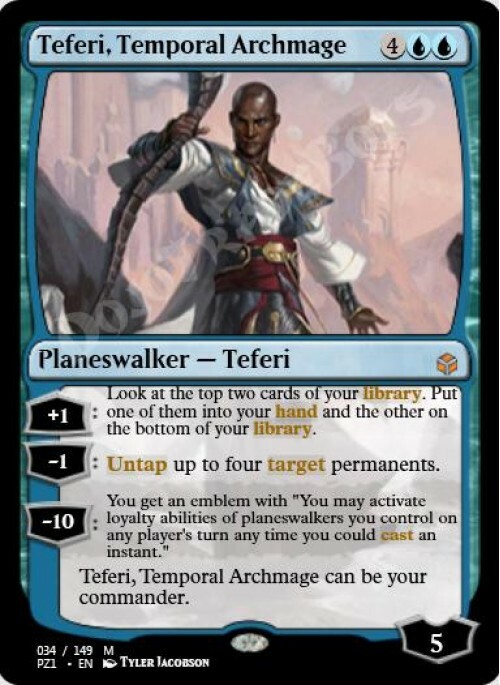 −10; You get an emblem with "You may activate loyalty abilities of planeswalkers you control on any player's turn any time you could cast an instant."